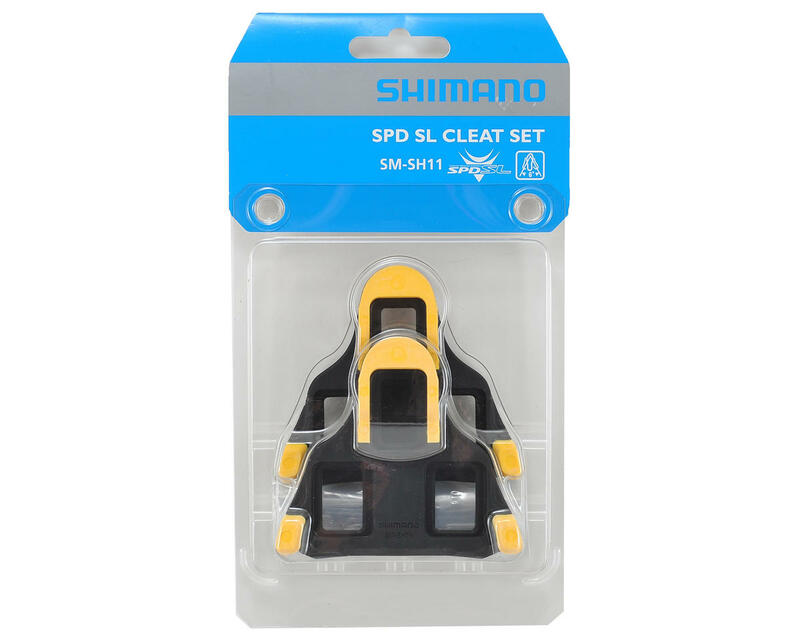 This is the Shimano SPD-SL road cycling cleat set. 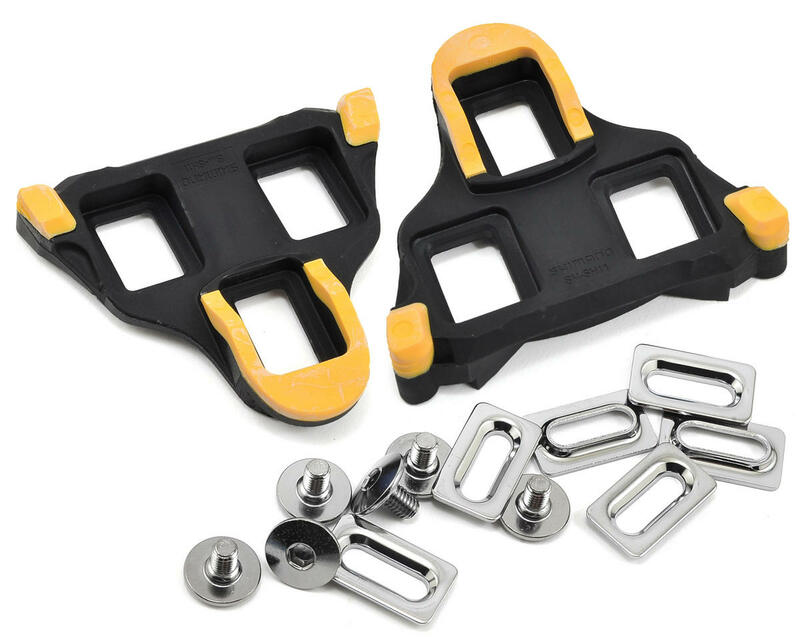 For use with Shimano SPD-SL compatible pedals and available in 3 versions. Red/ SM-SH10 is zero float or "fixed", Yellow/SM-SH11 is 6°float, and Blue/SM-SH12 is 2° of float.